Kenneally Acupuncture & Healing Light Resource Center is the perfect place for local Santa Clarita citizens to improve their mental and physical health in a comfortable, therapeutic environment. The health center’s main goal is to alleviate all stressors accumulated in clients by stimulating the specific trigger points on their bodies. 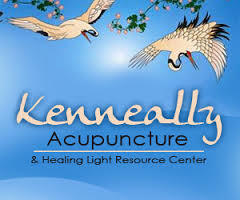 While using high-quality needling strategies and techniques, Kenneally Acupuncture works to better the health of their clients’ entire form, versus tending to only their individual symptoms. Kenneally Acupuncture has the uttermost intent to activate a balance between the physical and emotional state of the brain in order to successfully relieve the atrocious, distressing, and unnecessary pain accumulated in the human body. Aforementioned on her webpage, “Kathleen Kenneally, L.Ac. received her Master’s degree in Oriental Sciences from Samra University of Oriental Medicine in 1999. She has completed advanced training in Classical Five Element Acupuncture, NAET (Nambudripad’s Allergy Elimination Technique) and is a Reiki Master Practitioner” (kenneallyacupuncture.com). It is also illustrated that, “Kathleen has been featured as a co-host and health expert on two Los Angeles radio stations, and has published several articles on health and wellness. With her vast knowledge and ability, Kathleen is truly a gifted healer, completely dedicated to treating the whole person, body, mind and spirit” (kenneallyacupuncture.com). Frequently noted as the most highly-recommended Licensed Acupuncturist and Herb Doctor in California, Kathleen Kenneally’s knowledge in the medical and healing department has been passed on over the past 20 years by well-educated doctors birthed into her family tree. Of the many specialities Kathleen practices, treating allergies, tending to women’s infertility difficulties, alleviating severe pain, clearing the mind, balancing emotional distress, relieving stress, and rejuvenating the face are a few of the countless ways Kathleen works to assist her patients. According to her website, Kenneally has been voted the best acupuncturist in Santa Clarita for 12 years in a row, proving her curative assistance to be incredibly favored, genuinely legitimate, and undoubtedly credible. With great compassion, authenticity, and intelligence in the field of medicine, Kenneally integrates the use of Traditional Chinese Medicine and other remedial treatments to heal her clientele and attend to their physical and emotional needs.